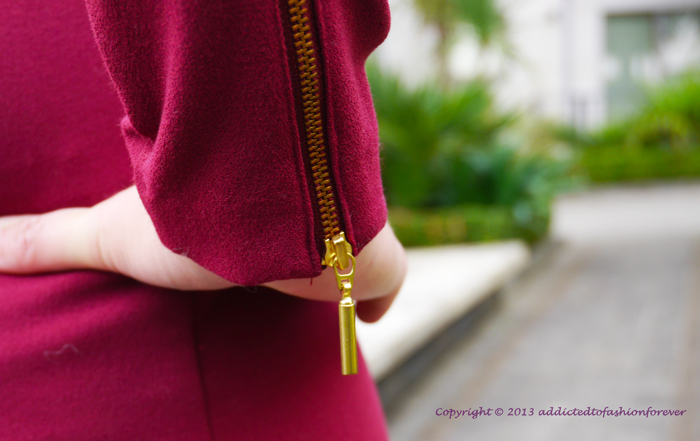 Maroon also called wine colour is definitely on the top of the list for A/W 2013. It wandered into collections from big designers to popular brands. Zara, Mango and H&M have a huuuge selection of clothing in maroon. From bags and shoes trough scarfs and jewellery to skirts, tops, blazers and jackets. For men and for women to fill everyone's needs. Thanks Sarah, it's gonna be on marketplace for sale if you would like to by. Thanks Alex that's very nice of u! you have a lovely blog <3 this outfit is so cool!! thanks Mai I just followed u on FB and took a look at your blog!